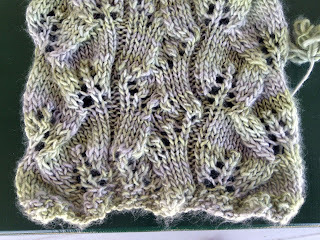 I started the scarf and the pattern looks lovely with the Peridot yarn. I am already a little way through the scarf and really like how it looks. 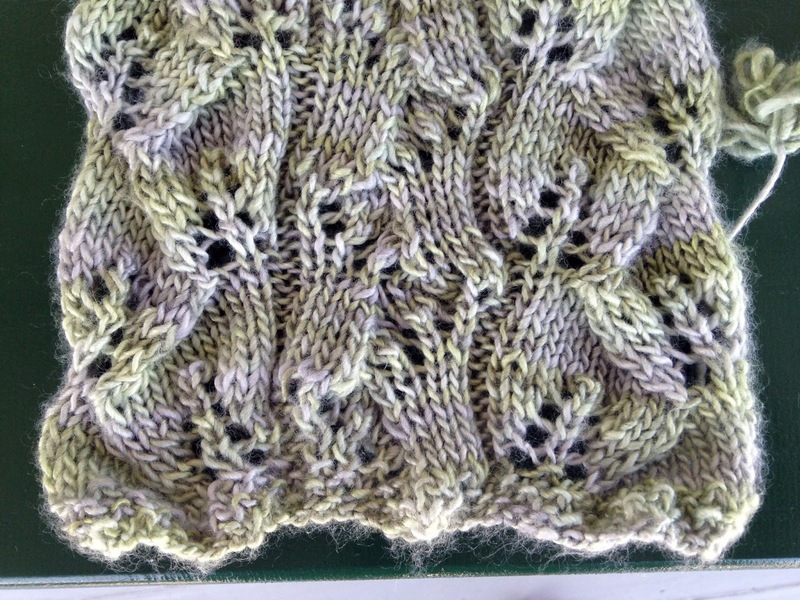 It does need to be blocked to actually see the lace, but you can get a good idea of how it will look even now.